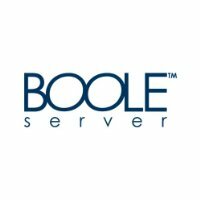 Boole Server is an innovative, secure and scalable system designed to persistently (at rest, in transit and in use) safeguard any sensitive data through military-grade encryption and protection, while allowing them to be shared with / accessed by whom (both internal and external users), how (any device, incl. iPhone and iPad) and when (incl. offline) needed. In particular, Boole Server data-centric unique technology allows to apply dynamic and granular DRM and policy enforcement. Please visit http://www.booleserver.com. Quickly enable and deploy advanced security and sharing for all your confidential data. Multi-award winning solution, including the 2012 SC Awards for Best Encryption solution and Best DLP solution. Boole Server was named a "Cool Vendor" by Gartner. Boole Server is currently distributed in over 30 countries and it boasts a vast portfolio of blue chip customers worldwide with tens of thousands of users across the most diverse industries.